A number of woodturners have told me to stay away from oak and softwoods for turning: oak because it cracks so easily; softwoods because of uninteresting wood patterns. I had initially heeded this advice and avoided oak. After all, there are many other woods to work with. However, this summer I received as a surprise gift a piece of an oak trunk that came from a tree cut down on Columbia Street in Chapel Hill, discovered and lugged to my office by a coworker during her lunch break. 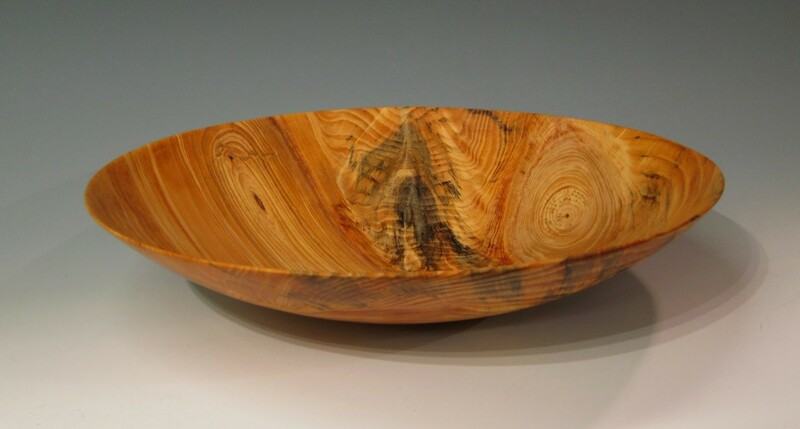 So, recently I turned it into a bowl (image 1); and was pleasantly surprised not only by the fact that cracking was not a problem, but also by the interesting and to me novel wood patterns that emerged. And how interesting and nice to hear my 14 year-old daughter spontaneously state, that this was her favorite wood of the (seventeen) ones I have turned so far. 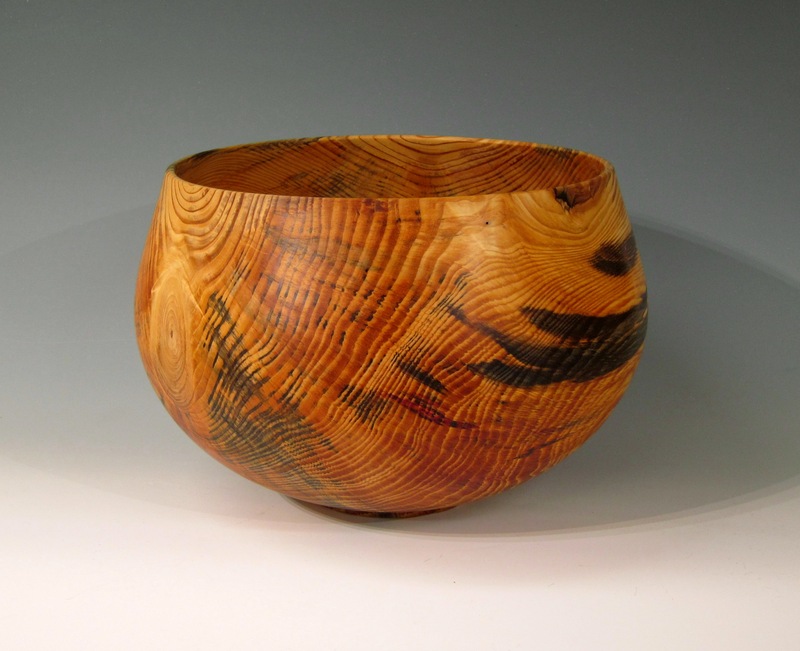 As for softwoods: WGNC’s Chris Boerner has shown that beautiful pieces can be created from pine (images 2 and 3). I recently turned Himalayan cedar (deodara cedar) and found it to be quite an interesting and worthwhile wood to work with (image 4). My summary: I will not avoid oak and softwoods any more. And furthermore – and not a new revelation to many, I am sure: Probably every wood is worthwhile turning and exploring. Almost any wood can be turned. You were most likely advised to avoid these woods as less productive. Oak is hard on tools and can be difficult to get a good finish cut due to the open grain, but is perfectly acceptable. I have seen several lovely pieces over the years. It is mainly used for machine-turned spindle work, however. Pine is a broad spectrum. What Chris got hold of is some extremely old-growth pine that might even be an odd species. The young, common pine found everywhere here is too soft to hold a form and splinters very easily. You can work it easily, but the finished pieces often do not hold up. I have seen sharp tools and good technique produce some amazing finial detail, but the finished product is very weak. I have some old rafters from an old barn by brother helped tear down. The beams are some kind of oak, with a nice warm color after finishing and very dramatic figuring that runs perpendicular to the grain. He was very pleased with the shallow bowl I gave him too. Experiment and enjoy the journey!